The Vanguard ESM Pilot initiative addresses the development of a European network of pilot plants in manufacturing efficiency and sustainability. It is aimed at sustaining the competitiveness of the European Manufacturing sector, by allowing the exploitation in Europe of innovative efficient technologies, methods, processes and standards in production, contributing to pollution and energy consumption reduction and facilitating smart usage of resources. The ambition of the ESM pilot plants will be to address multiple enabling technologies in a systemic perspective, making available an infrastructure that is currently not existing, due its complexity and to the high innovation level of the industrial applications for which it is conceived. These pilots will be open to companies, constituting a neutral and cooperative playground for cross-sectorial and interregional collaboration, facilitating the access to state of the art and newest process technologies to all European manufacturing environment. Since its start-up, ESM pilot has defined a structured methodology consisting in a mixed bottom-up and top-down process in which regional actors were called to express their priorities, in terms of pilot plants in a structured format and in line with regional S3 and the involvement of companies.Proposals were clustered considering their synergies and complementarities and inter-regional teams of European experts in charge of collaboratively develop pilot plants projects with a European added value are established. Out of about sixty regional proposals, five pilot plants projects emerged. These five demo-cases are following the steps of the defined methodology which consist of: i) Pilot Concept definition, ii) Business planning, iii) Pilots funding and implementation. According to their status of progress, the activities that are implemented at pilot level are intended to support demo-cases with the aim of bringing the projects a step forward.To achieve this goal pilot coordinators and demo-case coordinators are working on the submission of project proposals under divers EU, national and/or regional programmes to foster the content development while at the same time leveraging on workshops and events to promote the cooperation and collaboration among the Regions and the actors involved and to further expand the existing network. The ESM pilot organises two plenary meetings every year: one to report the midterm achievements of the demo-cases and the other one in December to provide an overview of the yearly progresses as well as to present the plan for the following year. For what concern the ongoing project activities through which the pilots and the demo-cases are supporting their development, there are: Greenomed (INTERREG MED), SCREEN (Horizon 2020), FiberEUse (Horizon 2020), CarE-Service (Horizon 2020). Objective: Develop a European network of highly reconfigurable and intelligent assembly/manufacturing systems to produce highly personalized components and products. Reconfigurable intended as designed for rapid change in structure in response to sudden changes. 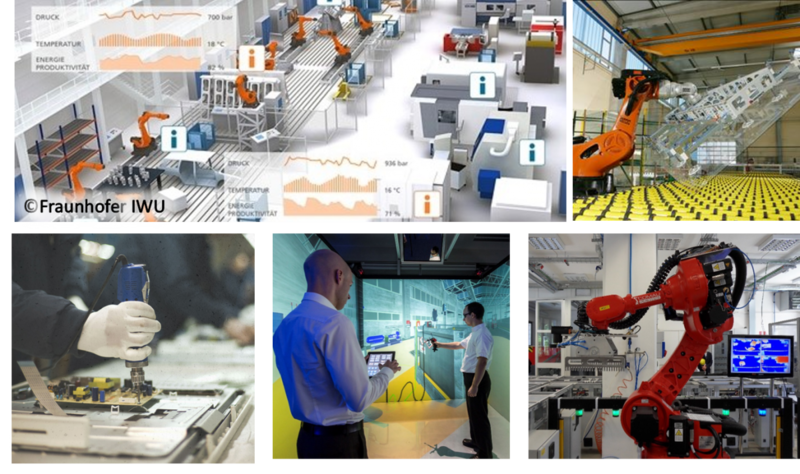 Intelligent conceived as equipped with technologies able to acquire, transfer, interpret, and analyse the information and to control the assembly/ manufacturing process. As outlined in the action plan, future actions consist in the reinforcement of industrial participation to the projects and the advancement of the actual state of the demo-cases. Accordingly, next steps will consist in the improvement of the conceptual definition of explorative projects, while for projects that are at more advanced definition level, resources should be identified to move towards the implementation phase.Several meetings will be held at regional and European level in an effort to improve the commitment of the industrials while reinforcing the cooperation among Regions and ensure the alignment with European initiatives. Coordinators will continue the identification of opportunities (i.e. initiatives and funded projects) for boosting the development of the ESM pilot.